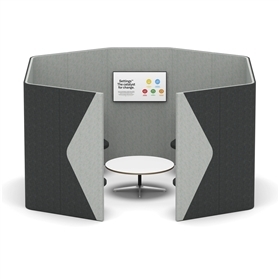 Creating informal environments for team meetings where groups of up to ten can meet to talk and share, for morning briefings, a quick brainstorm or the afternoon coffee. 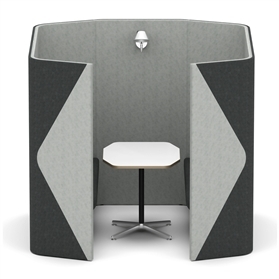 The bench seat solution and your choice of freestanding central table support a concept of quick and private discussions. 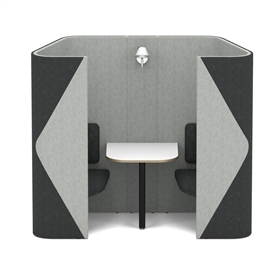 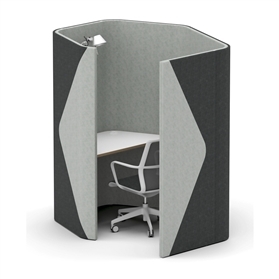 Team Workspace, 11 upholstered panels and 1 upholstered screen mount panel.